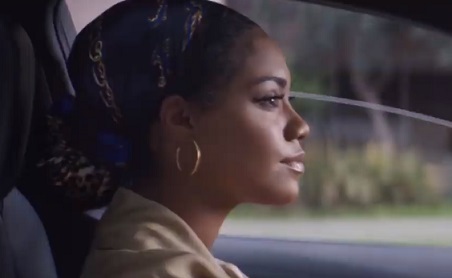 Toyota continues its “Let’s Go Places” campaign with a new installment for the 2020 Corolla, highlighting that, “when a natural hair influencer takes a simple trip to the salon in the all-new Corolla, the trip turns out to have a much deeper meaning”. The spot features a young brunette woman with curly hair at the wheel of the new sedan, driving through the city and stopping in front of a salon. After looking at the Instagram page of a natural hair model named Jihan West, she gets out of the car and enters the salon, where it turns out she goes for a good cause: to donate hair to kids. The commercial, scored by a catchy tune whose lyrics include “You got me shining, so bright, I’m blazing like the sun,” ends with the onscreen lines “Purpose > Praise” and with the voiceover introducing “The Greater Than Ever Corolla”. The automaker has also enlisted famed beat boxer KRNFX and dance duo BhangraFunk to star in commercials for the 2020 Corolla. Chaya Kumar and Shivani Bhagwan, the creators and founders of BhangraFunk and BollyFunk, who have become a worldwide phenomenon thanks to their viral YouTube dance videos, are seen driving through the city a 2020 Corolla and joining a group of locals on a rooftop for a dance battle. The he champion beat boxer is seen driving the new sedan to a club where he puts on a show unlike any other and also demonstrating how he can take his talents even further thanks to the first-ever Corolla Hybrid. Other recent spots focus on specific features of the “Greater Than Ever Corolla,” such as the bold new grille, the standard pre-collision system, and more.